Inside Imaging’s Photography Course Directory is an expansive list of accredited imaging-based courses offered by higher education institutes. The courses are either a Certificate IV in Photography and Photo Imaging, a Diploma in Photo Imaging, or a Bachelor degree specialising/majoring in visual arts. Photography courses are offered by some higher education institutes as a career pathway toward becoming a professional photographer, or simply to develop and fine tune an existing set of skills. While completing a course is not mandatory for a career, it may prove beneficial for a budding photographer’s professional development. All course information has been sourced directly from the educational institute. Inside Imaging advises potential students to further research the course and institution. All information is relevant as of late 2018. Courses come and go, and if any information is no longer relevant, please inform us. The Diploma of Photo Imaging provides graduates with a range of technical, creative and conceptual skills. Employment opportunities may include working in photographic studios, news organisations, fine art galleries, magazines, educational institutions, government departments, publishing companies, stock photo agencies, audio-visual/ video production companies and advertising companies. This course is being transitioned to CATC’s sister school, Billy Blue College of Design. Start a career as a designer, photographer or visual artist. Gain a broad set of skills in user experience, user interface, visual communication, social entrepreneurship, typography, print design, fine art and photo documentary, point cloud imaging, high dynamic range (HDR) imaging, and experimental print and photography. Open Colleges This course is not currently available! From the history of photography to advanced skills in Adobe Photoshop CC, as well as an understanding of current marketing practices, the course gives students the technical skills and business acumen to successfully establish or enhance a career in photography. Whilst studying this course, students will discover what it involves to be a successful photographer and that it is much more than just taking a good picture. We aim to prepare students for the real world. Students will be challenged with industry-based briefs, working to tight deadlines and meeting the expectations of clients, with a high level of professionalism. We will provide opportunities to refine presentation skills, by teaching students to present themselves and work in a professional and convincing manner. Three-years full-time on campus; part-time equivalent. Diploma: This qualification reflects the role of individuals who have professional level specialised, technical and theoretical skills to plan, carry out and evaluate photo imaging services. Practice at this level is underpinned by application of design theory and the ability to critically analyse and synthesise information from a range of sources. Practitioners may work in a range of industry contexts, including commercial, domestic portrait, media, wedding, illustrative, institutional and art photography. One year full-time; two years part-time. Cert IV: This qualification reflects the role of individuals who apply a broad range of technical skills in photo imaging, including lighting, image capture, enhancements and manipulation and output. Practice at this level is predominately digital. It is underpinned by the application of integrated technical, theoretical and historical knowledge of photo imaging and the ability to develop concepts and solutions in response to a brief. Practitioners may work in a range of industry contexts, including retail, commercial, domestic portrait, media, wedding, illustrative, institutional and art photography. The Bachelor of Fine Arts is a studio-based degree that will develop creative and professional skills and contemporary artistic practice. The degree features six disciplinary studio areas, from which students choose at least two. In the photography studio, students will develop diverse and transferable photographic skills, supporting them to become artists and practitioners in a variety of fields. The studio fosters critical enquiry and experimentation to explore the material and conceptual possibilities of photography in contemporary contexts. This hands-on degree is focused on providing the conceptual, theoretical and technical skills needed to succeed as a practising artist or in a range of careers in the creative industries. Students will be taught by practising artists, writers and curators, whose extensive professional experience and arts industry networks will be of enormous benefit. Students will be encouraged to work across disciplinary boundaries to realise their ideas. Studies will be supported by tailored workshops across many areas including ceramics, glass, jewellery, painting, photography, print media, screen arts and sculpture. With a Bachelor of Design in Photography, students become fluent in creating studio-based images including product and fashion photography, news and documentary, portraiture and the body, as well as architecture and landscape photography. Studying photography at UOW will teach students both analogue and digital technologies across a diverse range of studio subjects, whilst developing an understanding of traditions and concepts relevant to photography in historical, theoretical and contemporary visual art contexts. Students will develop their own style through creative processes, conceptual skills and applying knowledge into practice. Diploma: This course explores more professional areas of job outcomes and includes areas such as portraiture, wedding photography and studio lighting. The diploma also covers commercial areas such as stock photography, merchandising, media and journalism, and students’ final exhibition work and portfolio. We train extensively in post production skills that prepare photographers for a wide range of commercial application and outcomes. Cert IV: The photo imaging course is an exciting hands-on course that explores the theory and practical skills that are essential building blocks to becoming a proficient photographer. The Certificate IV builds on solid technical grounding including studio lighting with practical assessments that combine your learned technical skills with the ability to put them into practice. The Certificate IV covers colour theory, link studio lighting (product shooting), symptoms business studies, thumb post production skills, and business studies. The course has been designed to explore a wide and diverse range of ‘shoot’ tasks that will both challenge and inspire students. 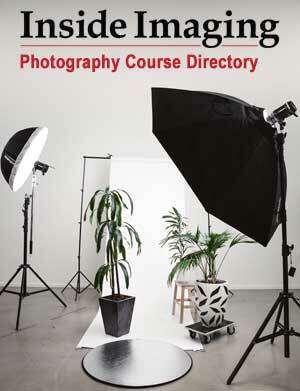 Learn the aspects of commercial, editorial/photo journalism, portraiture and fine art photography. This can lead to jobs with such topics as sports and action photography, landscapes, nature, architecture, interiors, fashion, glamour, stock imagery and event photography. Students will also learn extensive digital post-production skills with Adobe Photoshop to enable them to create dynamic imagery through graphic effects, and touch up photos to build a professional and diverse portfolio of work. Since its invention, photography has transformed the way that people see themselves and the way we communicate. Whether students want to be a journalist, work in creative advertising or practice as a fine artist, this degree will help achieve those goals. Students will combine conceptual, critical and creative processes to generate their own distinctive photographic vision. Students will also be introduced to the craft, politics, philosophy, language and ethics of photography. This program will provide students with the essential abilities to work as creative professionals in the rapidly-changing creative arts and media industries. These abilities include knowledge, concepts and technological understanding of media and creative arts process. Students will gain practical workplace experience through the Work Integrated Learning program. This advanced course will take a career in photography to the next level. Students will be qualified to work as a commercial photographer or printmaker across a diverse range of disciplines in the creative industries. Students will get the transferable skills to work in portrait, wedding, commercial, documentary, editorial, landscape or fashion photography, or pursue a career as a visual artist. Expand conceptual skills, innovative techniques and creative talents while preparing for employment in the art and photo imaging industry.Students will have the specialist skills required to work as a photo imaging practitioner. This course combines theory and practical training with a strong emphasis on innovation, presentation and technical competence. There is a focus on producing photo images for a variety of media, as well as colour management, photo lighting, innovative imaging options, refining digital art techniques, professional presentation of folios, networking, marketing, freelancing and realisation of public art projects. The Certificate IV in Photography and Photo Imaging provides an innovative and highly practical introduction to contemporary trends in the photography and image capture industry. This course provides practical training with a strong vocational focus on digital photography, studio practice and image post production. Our teachers and are industry experts who inspire, encourage and support students to create work of exceptional standards both creatively and technically. Students undertaking the Photography Major sequence in the Bachelor of Arts will learn basic techniques and practices of photography, using analogue and digital technologies at Level 1. At Level 2, students can select from a range of units that cover professional analogue and digital photographic formats, ambient and artificial studio lighting, documentary and narrative storytelling as well as advanced darkroom and alternative techniques. Students are strongly encouraged to experiment, research and develop their own conceptual and aesthetic sensibilities and to draw on their interdisciplinary studies. At Level 3, students refine their photographic technique and focus on developing individual style with a focus on folio preparation. Our flexible and practical degree helps define creative output, empowering students to apply new concepts and analytical frameworks to arts practice. Major in Screen, Theatre, Visual Arts or Writing and graduate with the networks and entrepreneurial skills necessary for a successful career. Cert IV: The course aims to develops students’ skills in a wide range of photographic disciplines in the first 12 months of study. This includes Image Capture, Studio and Location Lighting, DSLR Video, Darkroom (Fairfield campus only), Digital Printing, Image Enhancement, Styling and Exhibition. We provide the excellent facilities and resources so students can build a comprehensive folio. Diploma: Develop a photographic eye with a qualification recognised as one of the best in the industry. Push the boundaries of creative practice, learn new photographic techniques and how to market – we’ll get students on track to working in the industry today. The Diploma of Photo Imaging provides a sound technical and theoretical knowledge combined with creative image-making capabilities to enable students to become independent photographic practitioners. The qualification is applicable across a range of industries so that graduates can work in a variety of fields. Cert IV: Students will have a firm grasp of the features and functions of their DSLR camera, be able to use post production software and expand and explore their artistic style enabling them to create a diverse professional portfolio and exhibition pieces. Diploma: Prepare students for the real world of professional photography by continuing to explore and enhance existing knowledge and skills and partaking in real time industry experiences. Cert IV: Certificate IV in Photography entails a comprehensive progression through the acquisition of basic skills to a fully professional understanding of analogue black & white photography and digital imaging. The year culminates in a professional graduate exhibition which enables photographers to publicly display the best of their portfolio. Diploma: The Diploma course will provide students with new technical skills to operate a vast array of professional studio, analogue colour darkroom and camera equipment. Students will become skilled in the use of medium and large format cameras and in our professional studios, and will learn to use artificial light and flash to produce the highest quality images. As well as mastering colour processing and printing, students will use industry standard software such as Adobe Photoshop, Lightroom and InDesign to enter the creative world of web design technology. Cert IV: This is the beginning of a journey – at this level students are provided with an intensive and highly practical hands on learning experience. Students will build their industry know how and best practice through visual and technical literacy, ongoing image feedback, problem solving scenarios and collaborative learning. Students are encouraged to connect with industry through awards, networks, mentors, exhibitions and the industry expert teaching team. Work may be found as a photographer or photographic assistant in areas including social media content, commercial, editorial, wedding and portrait photography. Advanced Diploma: For students wanting to turn their passion into the career, there is the option to undertake our unique and innovative Advanced Diploma of Photography (10281NAT) course via a part time delivery platform. This qualification is designed to produce professional photographers preparing them for a career in the photography industry, with access to PSC’s forty plus years of networks and experience. Enrolments comprise two semesters per year for four years of part time study. However, the flexibility is also available for students to work at a lesser load and extend this course over a longer duration should that suit their circumstances better. Bachelor of Photography: Kick start a photography career with real world entrepreneurial thinking and build networks through our career focussed Bachelor of Photography course. Students learn to be highly visually and digitally literate, creative, innovative and entrepreneurial. Cert IV: This program is focused on students gaining highly practical photographic skills with a strong emphasis on collaboration, professionalism and hands-on industry knowledge. Students will initially study all areas of photography in the Certificate IV and upon successful completion, advance to areas of specialisation in the Diploma of Photography and Photo Imaging. The one-year Certificate IV is designed to reflect the role of individuals working as photographers’ assistants. Students will learn to apply a broad range of skills in lighting, image capture, enhancements, manipulation and output. Bachelor of Arts: Founded in 1887, RMIT has the oldest and most established photography program in the world. Situated in the heart of vibrant Melbourne, this program facilitates learning in purpose-designed studios using up-to-date technology and digital photographic equipment. This program integrates theoretical, conceptual and industry based models of photographic practice as they apply to the media and communication industry. Students will actively engage in the production of images that speak to the vibrant cultural dynamic of contemporary image production and exchange. Students will be challenged to produce work that responds to the critical discourses in both local and global contexts and will explore emerging technologies, while also analysing and synthesising their relevance to their own image making. The Diploma of Photography and Photo Imaging teaches students about the commercial, artistic and technical aspects of photography. It also includes basic studies in business and provides students with the skills to begin their own photography business. By engaging in contemporary Visual Art studio activities, students will explore and define themselves as a creative practitioner. Students will start to build specialist skills through practical studio based workshops of experimentation and self-discovery. Our open, flexible studios in the Visual Arts include specialised facilities for work in ceramics/3D materials, drawing, printmaking, photography and painting. All intensive teaching staff are practicing artists and designers with considerable reputations in Australia. This course offers an immersive, studio-based environment that fosters self-directed studio practice in areas of drawing and print media, painting, photography or sculpture and spatial practice. This is a specialist course that develops practical skills and theoretical knowledge in the visual arts. From the beginning, students’ studio projects are expected to demonstrate investigation and experimentation with a range of concepts, materials, techniques and processes. In second and third year, students are involved in sustained exploration and experimentation with ideas, procedures and methodologies of practice, culminating in a resolved body of artwork for the Graduate Exhibition. Cert IV: Students will learn how to apply a broad range of skills in photo imaging, including lighting, image capture, enhancements and manipulation, and output. This course provides the skills needed to work as a photo imaging assistant in a specialised photographic studio, large organisation (for example, graphic design company), or digital photo imaging workplace. Diploma: This course is flexible and designed to fit the needs of busy photographers looking to further their creativity and business skills, and push their technical camera and image editing skills even further. Photographers study this course to formalise their skills into a trade qualification, or to build a portfolio of professional industry-ready work. Cert IV: This program provides students with fundamental photographic skills and knowledge through largely practice-based instruction. Students will engage in a range of group and self-initiated activities and produce professional standard photographic folios on location and in the studio. Content includes image capture, enhancement, manipulation, printing and output for a range or purposes, lighting techniques, digital video, applied photo theory, imaging traditions, work safety and industry awareness. Cert IV: Uncover a passion for photography with this course. Explore imaging, lighting techniques and learn to enhance, manipulate and output photo images. Diploma: If photography is a passion, then unleash creativity with this qualification. Explore photographic techniques, advertising, editorial, industrial, portraiture, still life, architecture, and fashion. Through projects, students will create a range of imagery for commercial and domestic clients. Students can also specialise in a range of photographic work of choice. Cert IV: Enables students to demonstrate a broad knowledge of photographic practice, theory and history; display a broad proficiency and appreciation of photographic practice; make an informed decision about photography as a career; appreciate photography from an artistic and commercial perspective; apply informed skills and conceptual development to their photographic practice. Diploma: Enables students to demonstrate a skilled knowledge of photographic practice, theory and history; display a specialised proficiency and appreciation of photographic practice, problem solving and resource management; transfer and apply technical, creative or theoretical skills to a range of photographic situations; apply advanced skills and conceptual development to their photographic practice. Offered in collaboration with TAFE SA* through Adelaide College of the Arts, this degree offers an intensive studio-based program that covers both creative and academic skills. Students will receive rigorous training in the medium of their choice in ceramics, drawing, jewellery, painting, photography, printmaking or sculpture. Our innovative contemporary art qualifications allows students to focus on an area of particular interest to them. Students can choose to study ceramics, drawing, glass, jewellery and metal, new media arts, painting, printmaking, sculpture, textiles, and contemporary art history and theory. As a part of studies we make sure students get lots of intensive studio time, with access to stimulating, custom-built studio spaces. Students will be taught by practicing artists, researchers and acclaimed academics, and will learn in on-campus workshops and design studios. Our Photography course blends theoretical and practical skills in photography and digital imaging, so students learn to create powerful and effective images for a range of audiences and genres. In this course, students will learn from industry professionals, developing a thorough understanding of critical photographic design and theory and the changing nature of the creative industries. Students will develop practical photography skills with hands-on experience working on a wide range of photographic graphic design projects, and build the contemporary network and marketing skills necessary to succeed as a creative producer. When graduating, students will be well suited to careers in a range of industries and fields such as fashion, publications, advertising, professional photographic agencies, corporations, art, journalism, government and more. Diploma: Students will complete projects that will require them to consider a range of variables such as client needs and aesthetics. Students learn to manipulate the environment around them to help with photography. This diploma will develop photography skills and knowledge in business, composing, taking and developing photographs. Students also have the opportunity to develop skills in industrial and scientific photography, fine art photography or photojournalism. Advanced Diploma: Students build upon their knowledge in a variety of photographic genres, including domestic, commercial, scientific and artistic creativity with this Advanced Diploma qualification. They will also develop skills in research, illustration, exhibition photography, close up and studio photography and gain business. North Metro TAFE’s lecturing staff are closely involved with the Australian Institute of Professional Photography (and other professional bodies) and students are encouraged to participate on both a state and national level with events. Diploma of Visual Arts is part of the Creative Arts and Culture Training Package. It reflects the role of visual artists who combine specialised technical, creative and conceptual skills to prepare for and develop an emerging arts practice. Students are able to plan and realise a body of work in one or more art form. Marina Abramovic, James Turrell, Bruno Latour, Alfredo Jarr, Kirsha Kaechele and Patricia Piccinini. These are no ordinary artists, curators and theorists. But as a Bachelor of Fine Arts student, expect regular opportunities to engage and work with acclaimed international artists of this calibre commissioned by local institutions such as MONA, the Tasmanian Museum & Art Gallery, QVMAG, Detached and Contemporary Art Tasmania. Specialise in 3D Design, Ceramics, Drawing, Painting, Photography, Printmaking, Sculpture, Textiles, Time Based Media, Visual Communication, or pursue a multi-disciplinary practice across studios. If any information is outdated or incorrect, please contact us. Unfortunately, Open Colleges have scrapped their Design and Photography courses. Considering we live in a tech driven world, there are very few online courses at further and higher education levels! !